US 101 North to 9th St. Exit; 9th across Market & left on Hayes; right on Franklin; about 2 miles. Turn left on Bay St, right on Buchanan. Cross Marina Blvd. 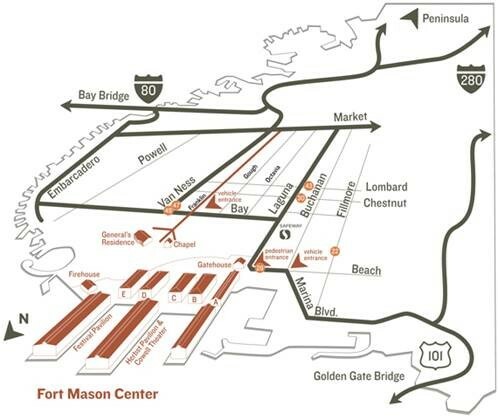 & sharp right into Fort Mason Center.